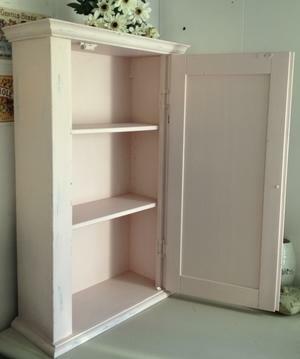 Small cupboard painted with light pink matt paint. 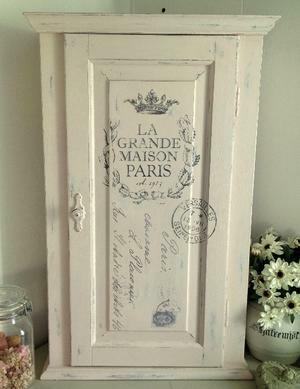 Distressed finish in shabby chic style. 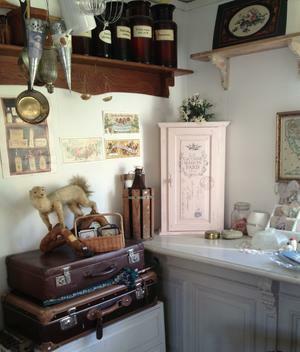 Printed decorations on the door -french text / script, old french letter etc. Height 72 cm width 45 cm, depth 19 cm.